يقع Falls Retreat Bed & Breakfast في تلال بيرث, برث, هو خيار شائع بين المسافرين. يمكن من هنا للضيوف الاستمتاع بسهولة الوصول إلى كل ما تقدمه هذه المدينة النابضة بالحياة. سوف يعشق النزلاء موقع هذا الفندق، فهو قريب من أهم المعالم السياحية في المدينة كمثل ليسموردي فالز, Stirk Medical Group, Kalamunda Hospital & Health Service . إن الخدمات التي يقدمها Falls Retreat Bed & Breakfast تضمن للنزلاء إقامة مريحة. هذه بعض الخدمات الموجودة في هذا الفندق: واي فاي مجاني في جميع الغرف, تخزين الأمتعة, واي فاي في المناطق العامة, صف السيارات, غرفة عائلية. تتضمن كل غرف النزلاء وسائل الراحة والتسلية المصممة خصيصاً لضمان الراحة القصوى للضيوف. صممت خدمات الاستجمام في الفندق والتي تتضمن حمام سباحة خارجي, سبا, تدليك, حديقة لمساعدتك على الاسترخاء والراحة. اكتشف مزيجاً ساحراً من الخدمة الاحترافية والخيارات الواسعة من وسائل الراحة والمتعة في Falls Retreat Bed & Breakfast. يُرجى ملاحظة أنه يتعين على النزلاء ذكر الموعد التقديري لوصولهم عند الحجز. يُرجى ملاحظة أنه إذا كان من المتوقع وصول النزلاء بعد الساعة 10:00 مساءً، فعليك الاتصال بالعقار مباشرةً قبل 48 ساعة على الأقل من موعد الوصول؛ وذلك حتى يمكن إجراء ترتيبات تسجيل الوصول المتأخر. The host and hostess were polite and friendly, if not a little "quirky". My room had a bedside table that was home to several generations of "dust-bunnies" to the point where they had migrated to the skirting boards and floor. Lucky I'm not asthmatic. The building has central A/C but the outlet vents in my room were closed - easily fixed if you're 6'2 tall. 7.30am breakfast seems to mean that's when cooking starts. By 8 we eventually got our over cooked poached eggs, a few slices of dry-fried mushroom and exactly one half of a tomato, which went well with the teething rusk hard stone cold toast. The pool was green on arrival, but it was clear and blue the next day, when we were warned not to use it because of the high chlorine levels. If you don't want to run a B&B, then do something else. If you want to run a B&B could you try a little harder please? Andrew if you were so disappointed with your breakfast and room you had ample time to tell us during your 3 day stay. However this did not occur. We aren't mind readers and you gave no indication of any dissatisfactions. Concerning the pool, we have a pool contractor Poolwerx who do an excellent job of maintaining our pool. However we had an outbreak of algae which resisted many attempts to clear it. We do have an automatic Chemigen to apply chemicals to the pool when levels are lower but even this didn't remedy the situation this time. It took a week's diligent work to clear the problem. Problems occur even with the best intentions. The hills location is beautiful and within easy drive of the city. I would recommend this B & B to everyone. Thanks Christine, it is a very beautiful and peaceful location close to the forests. Jenette and Peter are welcoming and made sure we have enough food for breakfast. To top it off, there is even complimentary parking! Thanks for hosting us. Thank you James. So glad you enjoyed our little haven in the hills. I would stay there again. The place is very clean and airy and the grounds are lovely. The owners are very friendly and accommodated our late arrival and our departure. Thanks Flo . We are always glad when our guests are satisfied with our service and location. A GPS is a must if wanting to locate the place. The staff is very pleasant. Being a B&B, it certainly felt like home away from home. The breakfast is very generous. The bathroom is clean. If the pricing was cheaper, it will certainly be more attractive. It's very close to the Falls which makes it convenient to trek the area early and enjoy the morning dew. All in all, I am satisfied with my stay. Thanks Andrew. 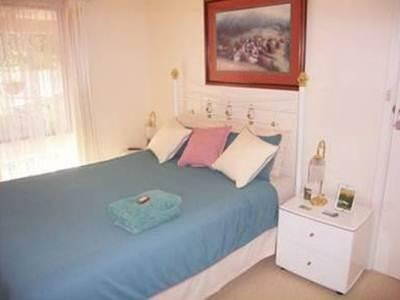 Our prices are already low for the standard of our accommodation in Australia - 4 stars. Glad you enjoyed our bed and breakfast. peter and his wife(hotel owner) are very kind and hospitable. 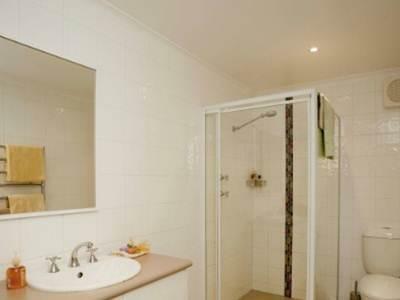 rooms are very clean and tidy.however toilet and bathroom is shared and also it is far from airport and perth. Thanks Abbas. 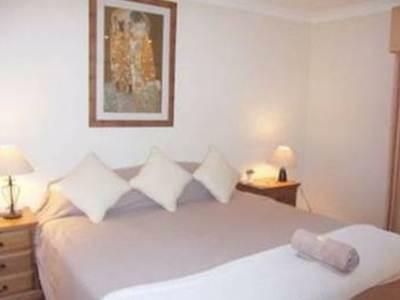 We are located 13 kilometres from the International Airport( 15 minutes by car) or 21 Kilometres from the domestic airport. An interesting location on the hills overlooking Perth. 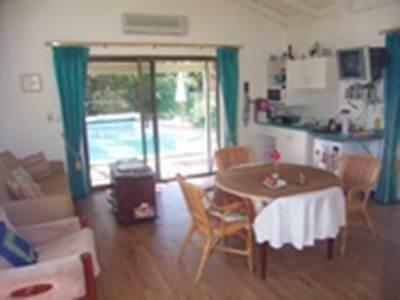 A good getaway outside the city and also near amenities just 5 minutes drive away. Enjoyed the quiet drive in the hills in the morning. Thanks Jonathan. So glad that you enjoyed your stay with us in the Perth hills.